THURSDAY, Jan. 10, 2019 -- The Escherichia coli outbreak linked to California-grown romaine lettuce appears to be over, the U.S. Centers for Disease Control and Prevention said Wednesday. As of Jan. 9, there had been 62 cases of E. coli O157:H7 infections in 16 states and the District of Columbia. Twenty-five people were hospitalized, including two who developed kidney failure. No deaths were reported. Illnesses in the United States began between Oct. 7, 2018, and Dec. 4, 2018. There were also cases reported in Canada. The outbreak was traced to romaine lettuce from the Adam Bros. Inc. farm in Santa Barbara County, California, according to the CDC. The U.S. Food and Drug Administration asked Americans to forgo romaine for a short time around the Thanksgiving holiday while the agency traced the source of the outbreak. 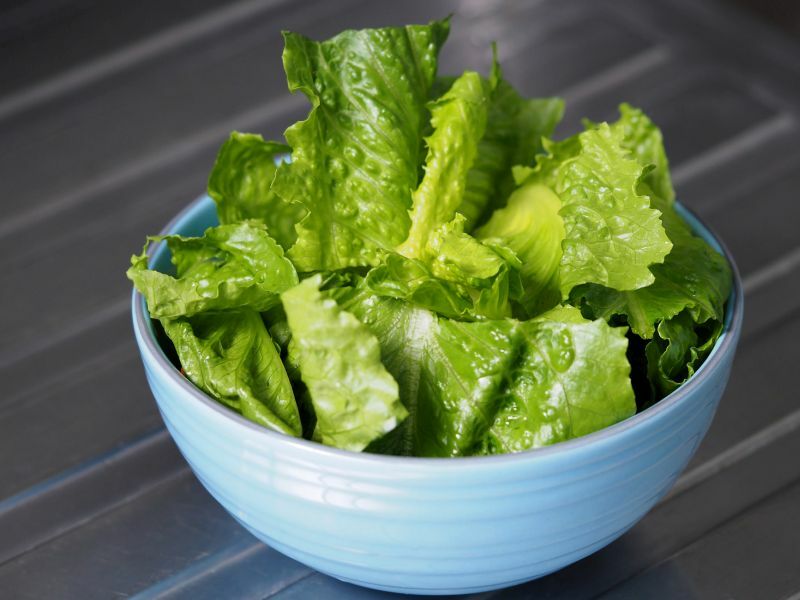 The CDC said that contaminated romaine lettuce should now no longer be available and that it and other federal agencies are continuing their investigation into how the romaine lettuce was contaminated with E. coli. "Our teams have collected environmental samples and are working with growers in an effort to pinpoint when and how the romaine lettuce became contaminated," FDA Commissioner Scott Gottlieb, M.D., said in a statement. "Our ongoing investigation into this matter will soon come to a close and we believe that its findings will help to prevent future outbreaks in leafy greens."